Enjoy an afternoon of fun in the sun at Lake Idlewild, a 1930s WPA project. Once you park your car, blaze your own trail through the woods by following the sound of falling water. Be prepared to enjoy a cool mist of refreshing spray from the 10-foot drop of two breathtaking waterfalls. 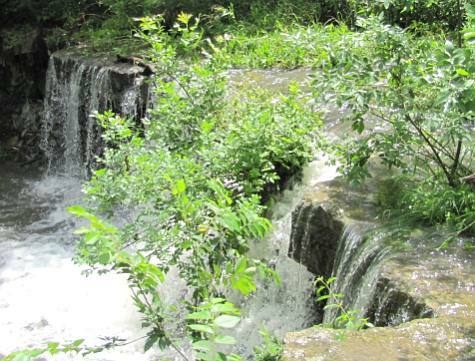 To locate the falls, hike about 20 yards southwest of the spillway.